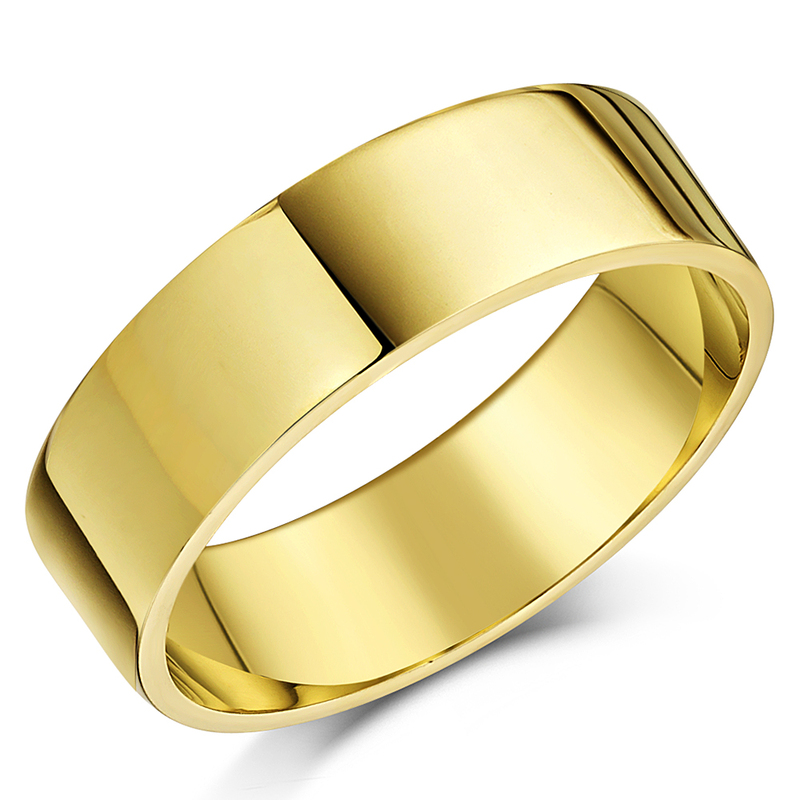 These traditional wedding rings have been delicately crafted from the finest of yellow gold - a metal renowned for both its durability, and for the richness of its colour. 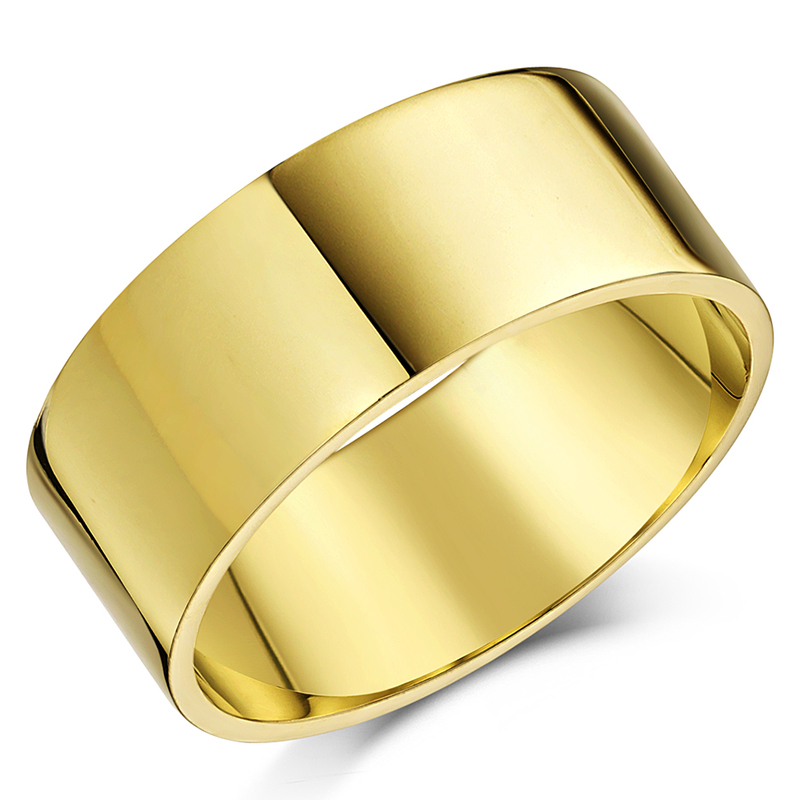 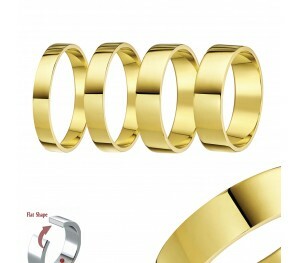 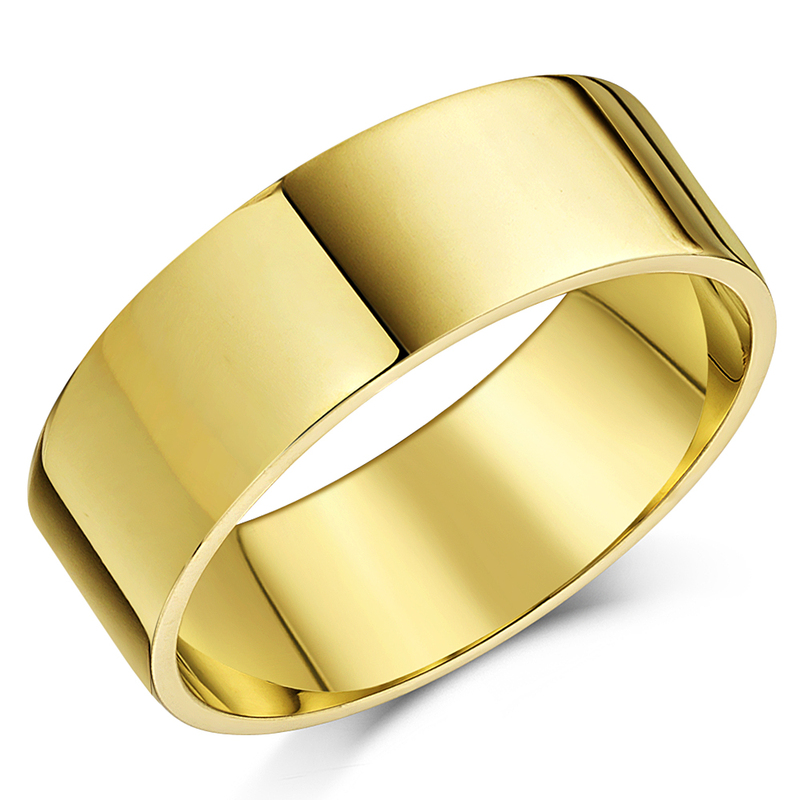 The profile of the band is 'flat shaped', designed to provide a cutting edge, sophisticated look. 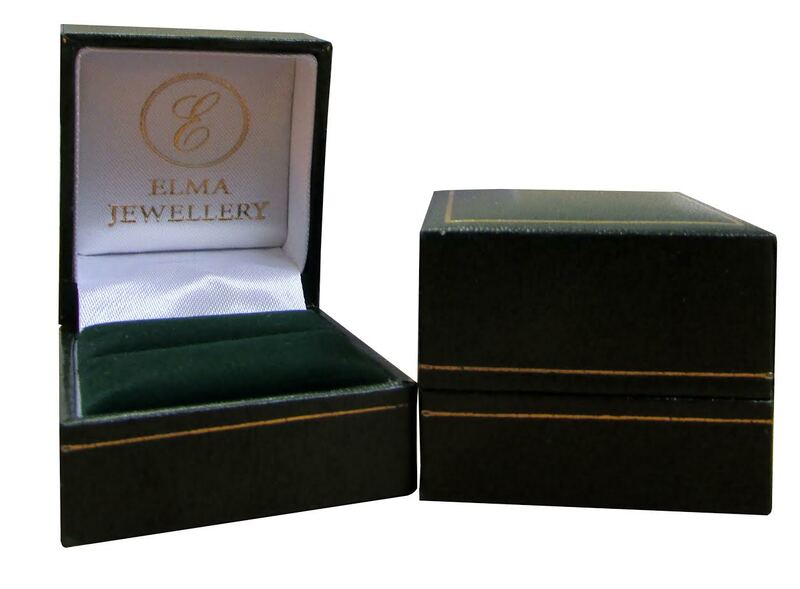 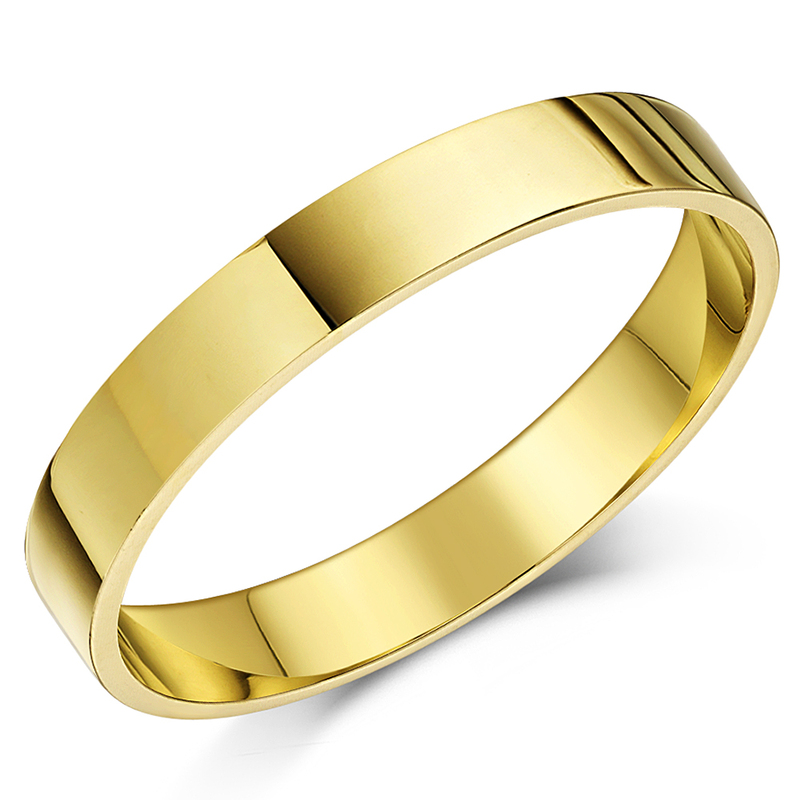 The size range available for this product is H-Z and in line with Assay legalities; it bears a full UK hallmark 750 (=18ct).